good interview. It would have been interesting to ask her if she regrets her endorsement of Keep Houston Safe, the red light camera company PAC during the election and their subsequent lawsuit to throw out the election. It is somewhat amusing to see these politicians from both sides of the aisle who had at least a small part in getting thousands of votes thrown out coming out and asking those same people for their vote now. Of course Wanda Adams also endorsed them so it’s a push on that in the primary and with no republican opposition filed for 131 it is kind of a foregone conclusion. 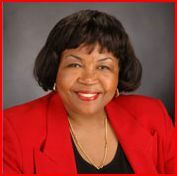 I am proud to have been a staff consultant on this campaign,rep Dr alma allen is certainly an inspiration to myself as well as others,it is amazing that she was able to really deliver such a positive impact to the voters of the 131 district,i would like the record to show that i joshua ben bullard endorse Dr alma allen for re-election as state representive and strongly ask all of my friends in this district to do the same and vote.